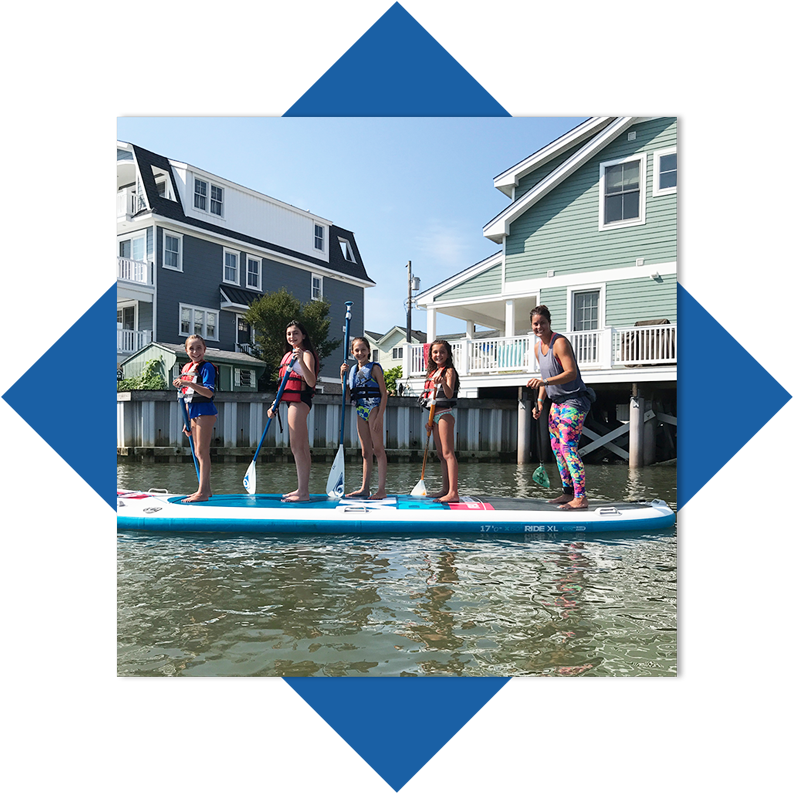 We offer a variety of Stand-Up Paddleboard Rentals. Let us make your Paddleboard Rental experience easy and free of hassle. Whether you are looking to take a board with you or explore the bay at our 10th St Wharf location we got you covered! We offer walk up rentals, however we do recommend booking ahead of time or calling us to check availability. See below for more information or click a “Book Now” button to check available times. Not sure where to paddle? Our staff can map out some amazing journey suggestions! 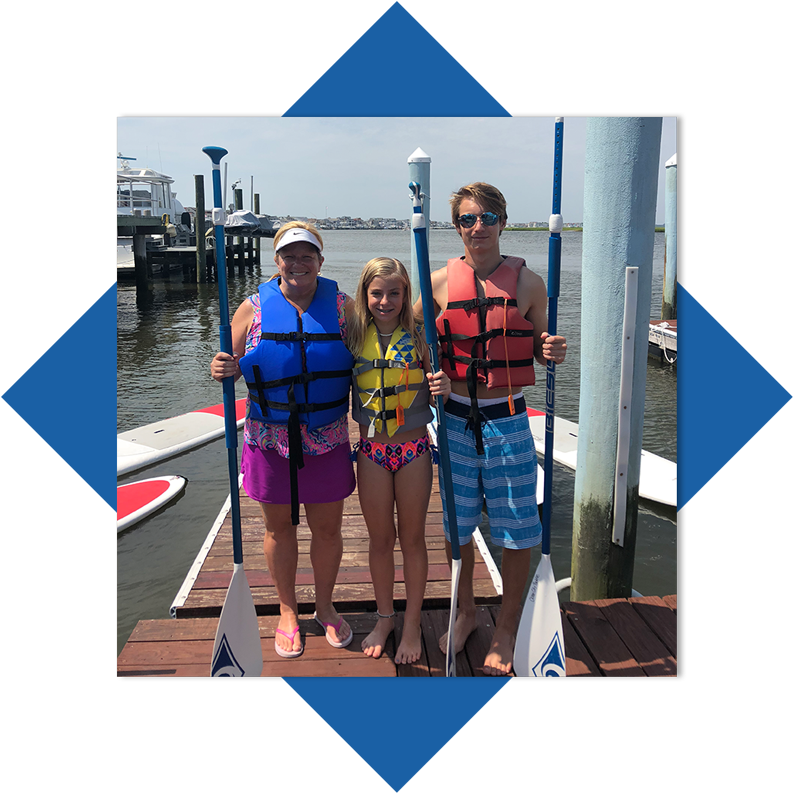 If this is your first time trying out Paddleboarding, consider taking one of our Lessons to learn the basics! Launching from our location on the Bay at 10th St. We have a large, sheltered area with a no-wake zone in either direction. Explore the back bays including lagoons and even Cowpen’s Island. 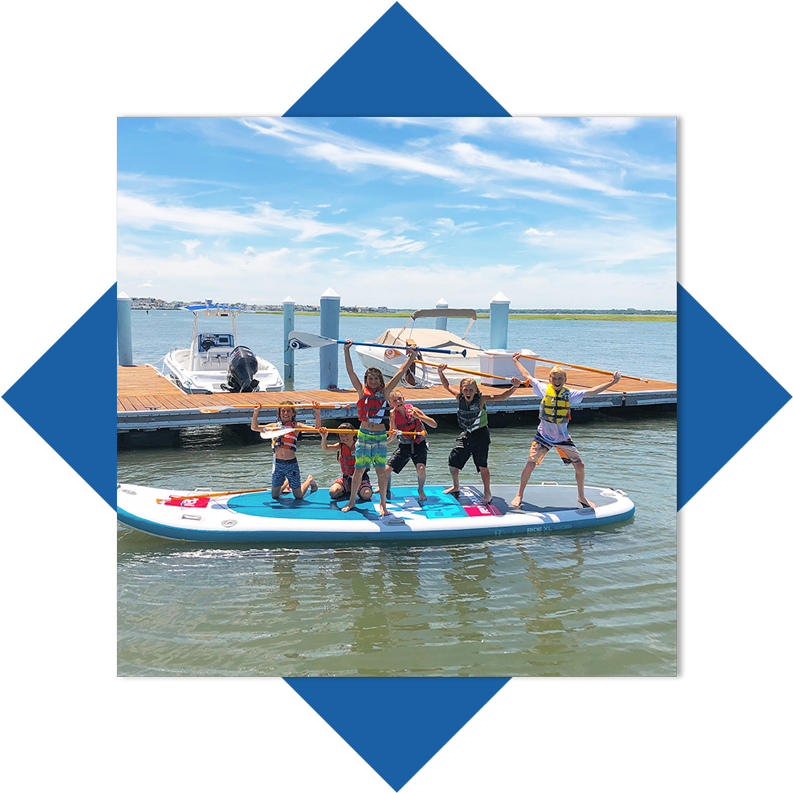 Come see a different side of Ocean City! 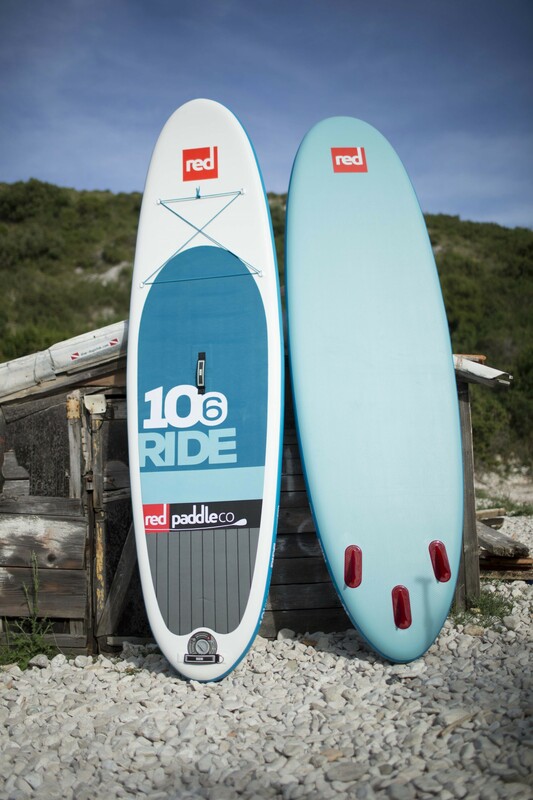 If you want to take one home with you for the day, we offer top-rated “RED PADDLE CO.” inflatable paddle boards. They come deflated which makes for easy transport and can fit in any car or truck. Pumps up in less than 5 minutes! Available by pick up at our 10th St. Wharf location only-no delivery. 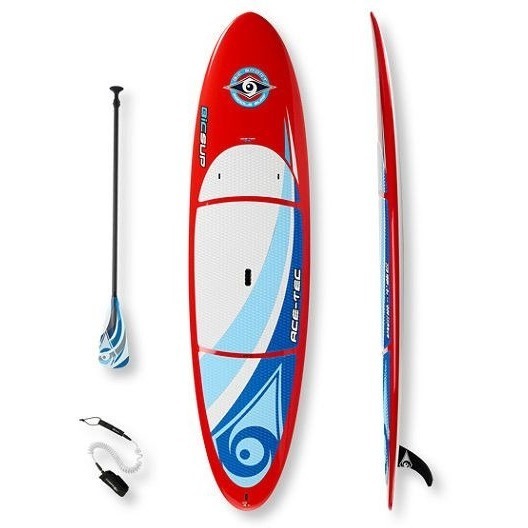 If you are vacationing here for the week, we offer top-rated “RED PADDLE CO.” inflatable paddleboards. They come deflated which makes for easy transport and can fit in any car or truck. Pumps up in less than 5 minutes! Available by pick up at our 10th St. Wharf location only-no delivery. Have some fun on our 17ft Red Paddle Co. Inflatable. Cruise around the back bays and explore. This massive vessel can handle 5 to 6 adults or a mix of kids and adults. Children under the age of 18 must be accompanied by an adult. This rental is subject to cancellation due to winds and tides. All participants required to wear life vest. The rental includes a brief introduction on the equipment, leash, paddle, & life jacket. Get on board with us! Paddleboard rental times start when you hit the water. Please arrive 15 minutes prior to your rental time.